When we compare this new Android Mini PC model A10 (also called A10 Media PC) against the “Android on a Sitck” alternatives, there are obvious reasons why the former is a better option: For a start, this Android Mini PC is enclosed in a bigger, stand alone, case which includes in / out slots and connector just as a normal desktop computer. The A10 Android mini PC comes with an SD/MMC card slot, two USB PORTS, an RJ45 connector for ethernet LAN access, optical, HDMI and even analog AV outputs. It also includes a DC power connector, as it is powered by an external source, which is included in the bundle. As a nice detail, it also includes a remote control so you can comfortably use it as a media center in your living room. It is clear enough by now that the Android Mini PC compares quite favorably against the meager and smaller “Android on a Stick” products. On the availability side, we just spotted it on sale in the U.K. at about 70 pounds. 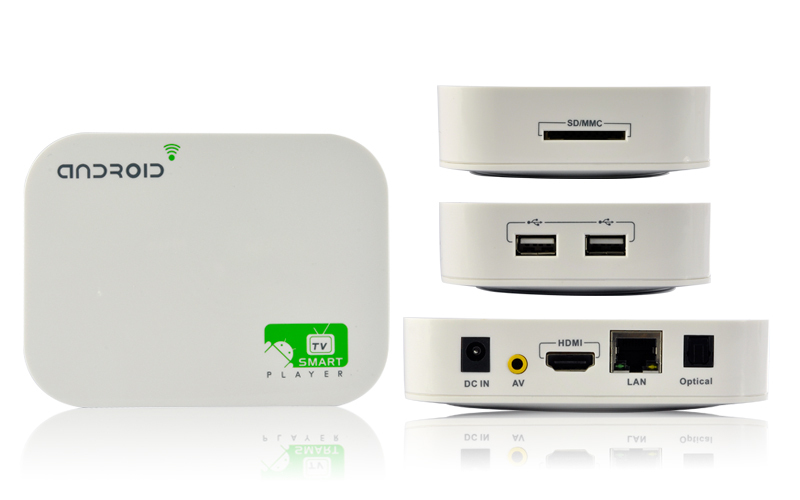 The Android Mini PC A10 is powered by the -by now well known- AllWinner A10 processor. This is complemented with a graphic coprocessor capable of 3D gaming and video output up to 1080P in full hdtv. On the memory side, the Android Mini PC Includes 512mb of DDR3 RAM and 8Gb of built-in flash memory for storage. It runs on Android 4 operative system. For network connectivity, the A10 Media PC includes an internal WIFI adapter and also an RJ45 Ethernet connector for wired networks. The A10 Android Mini PC supports any USB keyboard and mouse through it’s OTG USB port. Local availability in USA is yet to be announced: If you spot a place where the A10 Android mini PC can be bought, please leave a comment below. I have the above product (Good One – used it for around 1 week) but in my anxiety to backup the firmware, I installed CWM Recovery for MK 802 (ICS 4.0.4) on this product and now my box is kind of bricked. I am searching for the reset / recovery menu option but still unsuccessful. Any help will be most appreciated!!! !